This popular classic chesterfield design has sumptuous deep filled seating and scatter cushions designed to create the perfect space for relaxation. 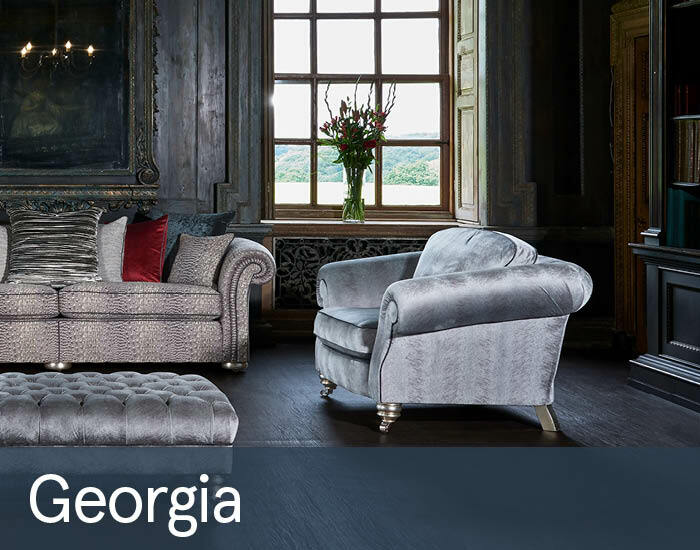 Its clean lines work well with classic or contemporary fabrics, making the Gascoigne Designs Georgia One And A Half Seater Sofa equally appealing in a modern or traditional setting. Each piece is individually hand cut and then tailored by a single bench trained craftsman and accurately lock stitched by our quality trained seamstresses to produce an attractive, luxurious and contoured piece of the finest quality.